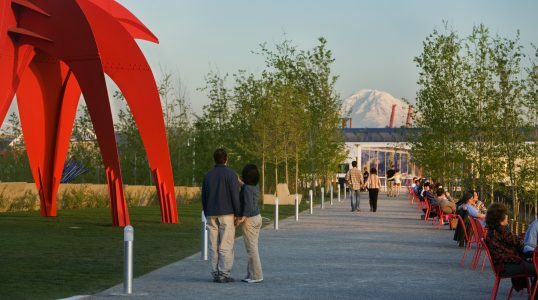 Located on the banks of Elliot Bay, the Olympic Sculpture Park features contemporary sculptures and open-air green space in downtown Seattle. Among the artists with permanent sculptures there are Mark di Suvero, Beverly Pepper and Tony Smith. The Olympic Sculpture Park, which opened in 2007, is a branch of the Seattle Art Museum.